Searching the shops for Christmas presents already but can’t find anything special? 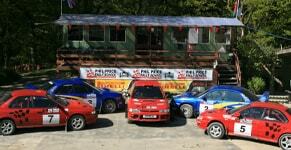 Why not give someone the experience of a lifetime at Phil Price Rally School? We can help your friend or relative kick-off the New Year in style. At Phil Price Rally School they can go speeding round three miles of rally stages in a Subaru Impreza rally car, at breath-taking speeds. They’ll be learning more about rally driving from highly experienced instructors, who are extremely passionate about what they do. Our gift vouchers are the perfect surprise gift in any Christmas stocking and certainly beat more disposable presents, like another pair of novelty socks or aftershave sets. Instead your friend or relative will get that heart hammering, as they carry out the kind of driving moves you normally get in an action film. With our expert instructors, who have over 25 years of experience, they’re guaranteed to be in safe hands. 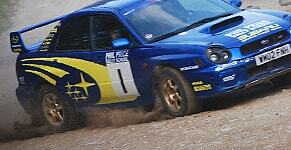 Our high octane rally experiences provide a welcome escape from reality during the post-Christmas comedown. Our One Day Intense course will please motorists of all ages and abilities. Running between 9.30am-4.30pm, it will give them the ride of a lifetime and ensure that they begin 2019 with on a high. Why not discover more about our gift vouchers today?